Foot Surgery Specialists of Texas (Houston) - Book Appointment Online! Most Americans log around 75,000 miles on their feet by the time they are 50. Regular foot and ankle care can help ensure your feet are up to the task. 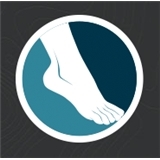 Most foot and ankle problems can be lessened with the proper detection, intervention, and care. Our minimally invasive techniques in foot and ankle care are designed to help you return to motion with minimal discomfort and a quicker recovery time. At FSST, our highly trained, highly skilled, and extremely experienced podiatrists and staff are here to provide each patient with the most current treatment and compassionate care. For years, people have come to us, seeking relief for various foot and ankle pain and conditions. We treat everything from heel pain to severe trauma. Your health is our priority. We have developed multiple minimally invasive foot surgery techniques and have become leaders in foot and ankle care. Dr. Buitrago and her staff are great. She now treats three members of my family - myself, husband and grown daughter. She is very thorough and willing to try various approaches to solve your problem. She is definitely a "surgery is a last resort" type, which is wonderful. Very compassionate and lovely person who answers to the calling of physician the way all should!